MacStories Weekly. A weekly newsletter featuring our favorite iOS and Mac apps, tips and in-depth automation tutorials, exclusive stories, interviews, and more. A free sample is available here. MacStories Unplugged podcast. A monthly show featuring a discussion of what's going on behind the scenes at MacStories, articles we're working on, the gear we've been testing, and more. Monthly Log. A monthly newsletter with behind-the-scenes stories from the MacStories team, delivered towards the end of each month. Discounts and free downloads. We often feature time-limited discounts on Mac and web software, available exclusively for Club members. 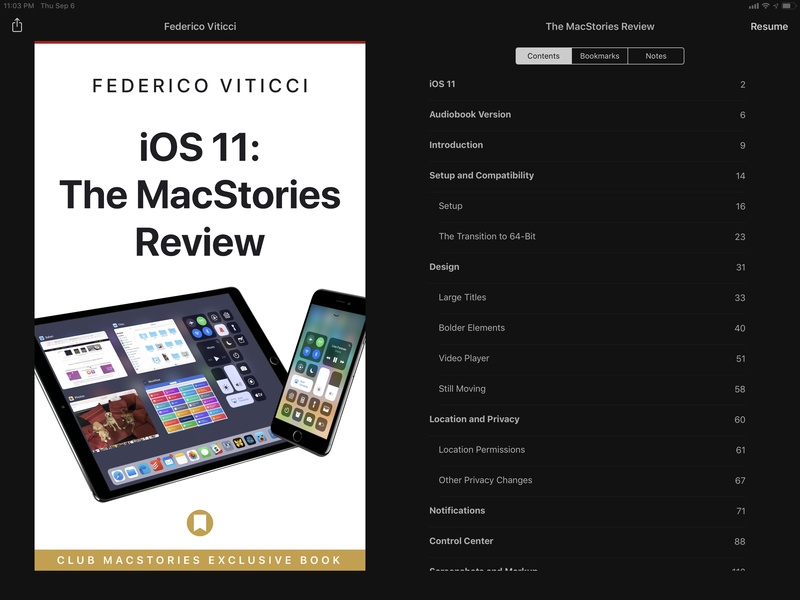 Plus, we usually offer popular longform MacStories articles (such as Federico's iOS reviews) as eBook versions for free for Club members. In addition to extra MacStories content, you'll also get a chance to be an awesome reader who makes a direct contribution to the MacStories team. We think that's pretty cool. A sample of MacStories Weekly sections. Workflow Corner: Advanced shortcuts for the Shortcuts app, created and explained by Federico. In this section, we also try to help Club members with their iOS and macOS workflows. The Extension: A column that covers topics beyond our usual day-to-day coverage at MacStories. By signing up for Club MacStories, you'll gain full access to the complete archive of every newsletter we sent since September 2015. The archives are organized by year and contain links to view old newsletters in a web browser. 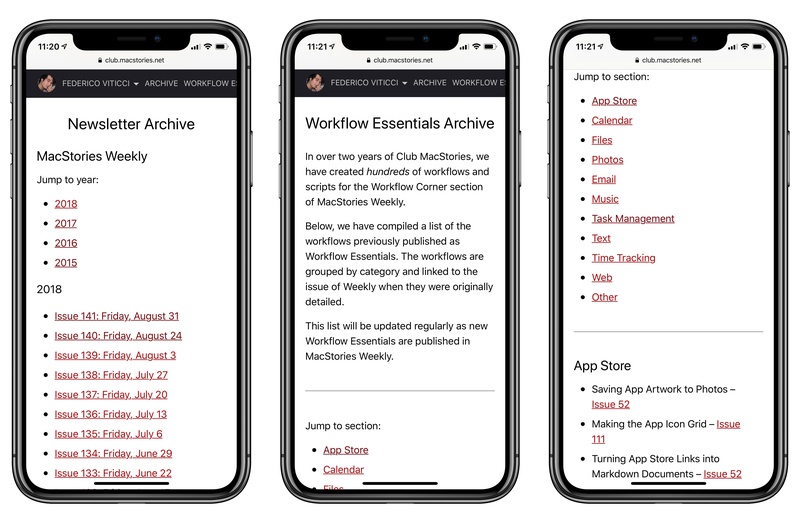 In addition to the newsletter archive, there is also a Workflow Corner archive featuring an index of Federico's essential shortcuts. After seven years of MacStories, we've gotten to know quite a few developers who are behind the apps and services we use every day. Occasionally, with their help, we'll offer discounts exclusively to Club MacStories members. 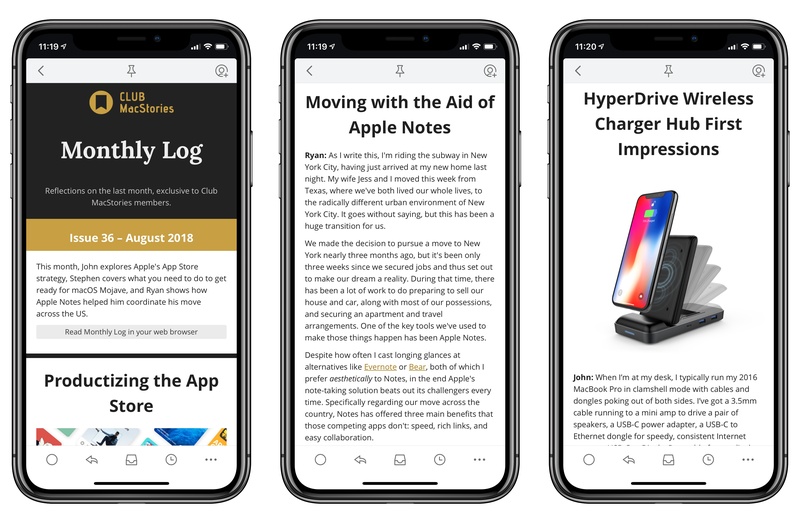 In addition, our longer articles and in-depth stories are offered to Club members as eBook versions they can read in Apple Books and other EPUB readers. 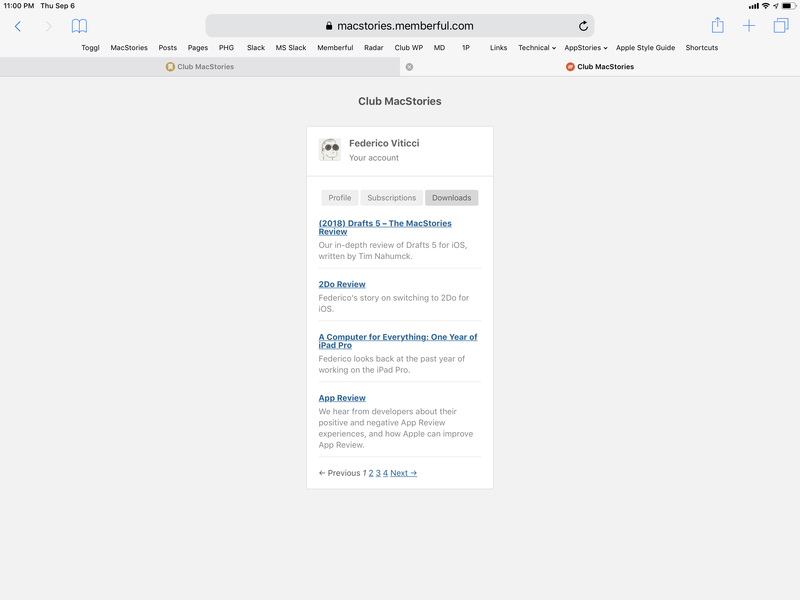 If you're looking for the story behind Club MacStories, why we're doing this, and why we think this is a great complement to MacStories, read Federico's original announcement here.